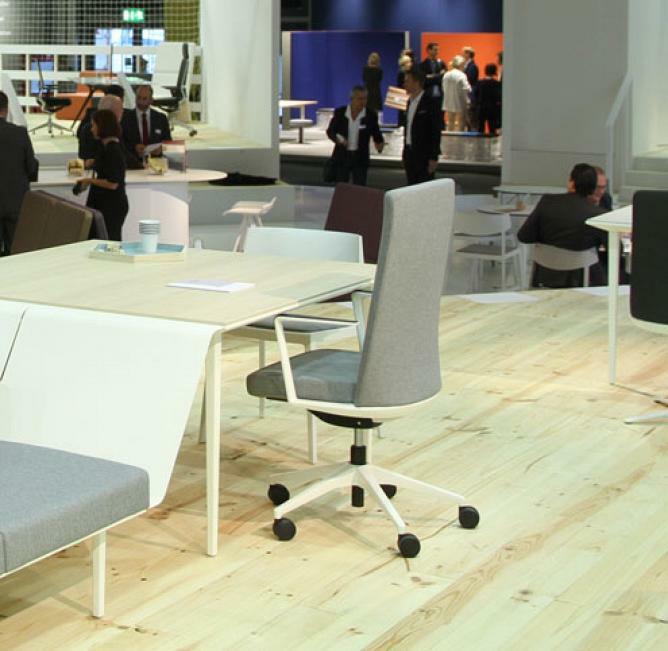 Seven completely new collections, with a polished design adapted to the current needs of the market; soft seating, pleasant and ergonomic collaborative spaces were the commitment of Actiu at Orgatec 2014, the benchmark trade fair in Europe on design and planning of work spaces, which took place in Cologne (Germany). 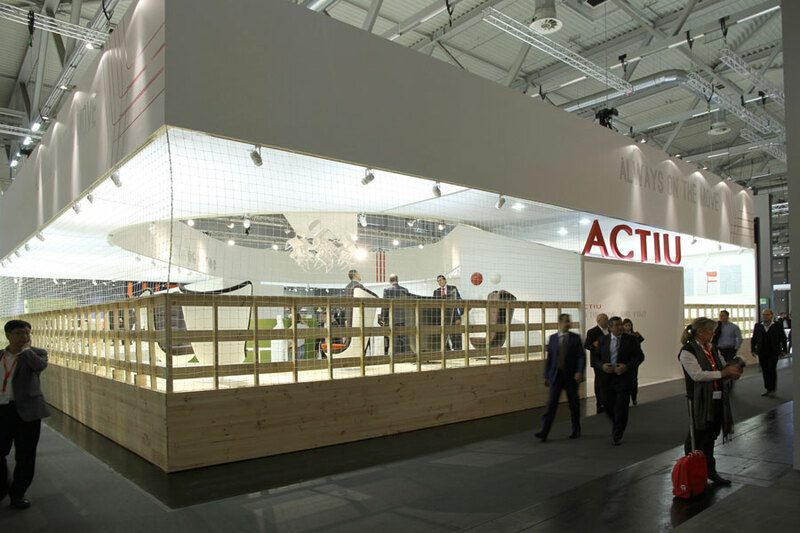 With a very positive reception, the hundreds of visitors (customers, architects, specifies and the media) agreed with the outstanding change made by Actiu, the product as well as the image and the communication of the brand. 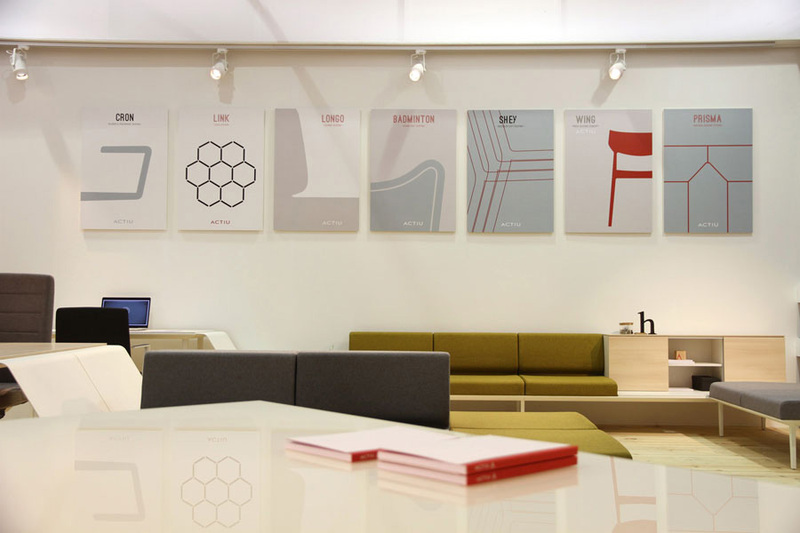 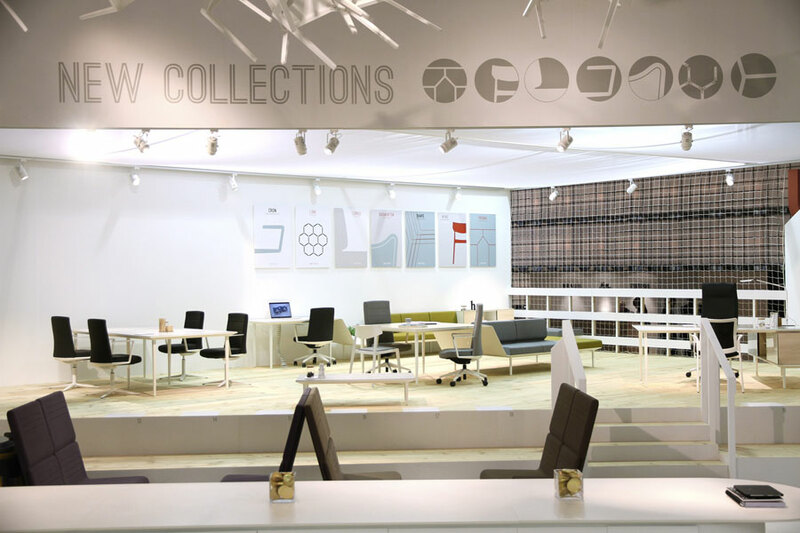 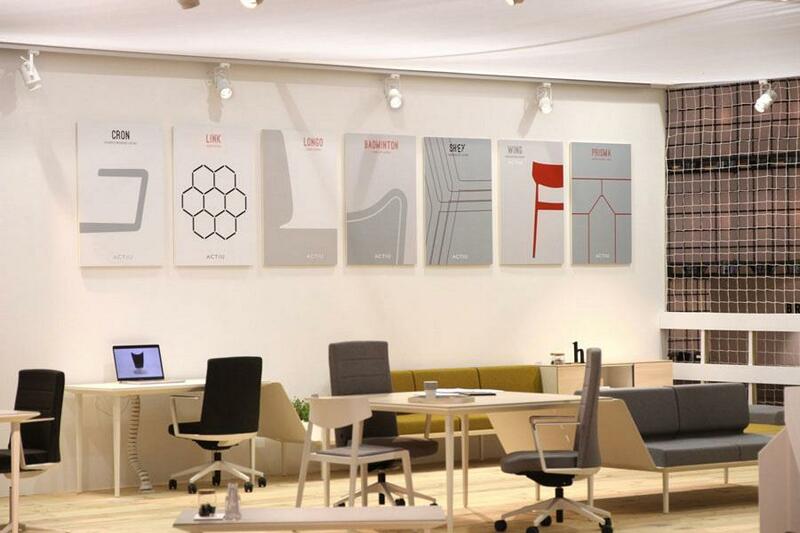 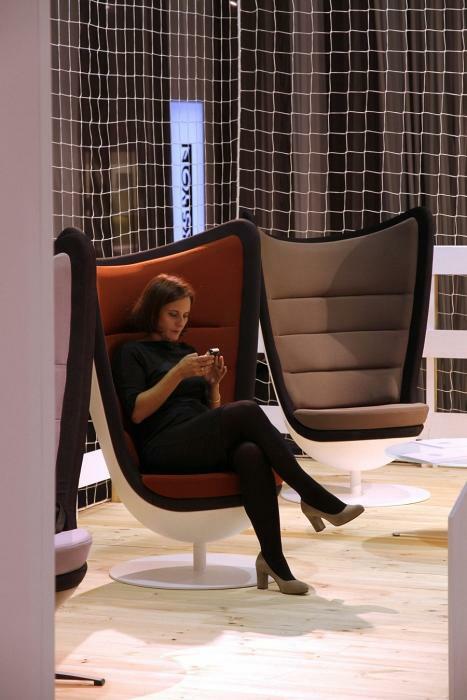 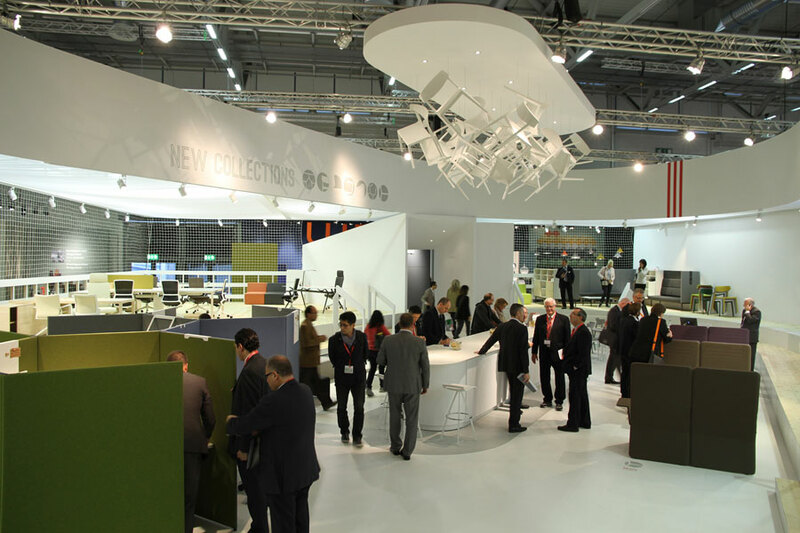 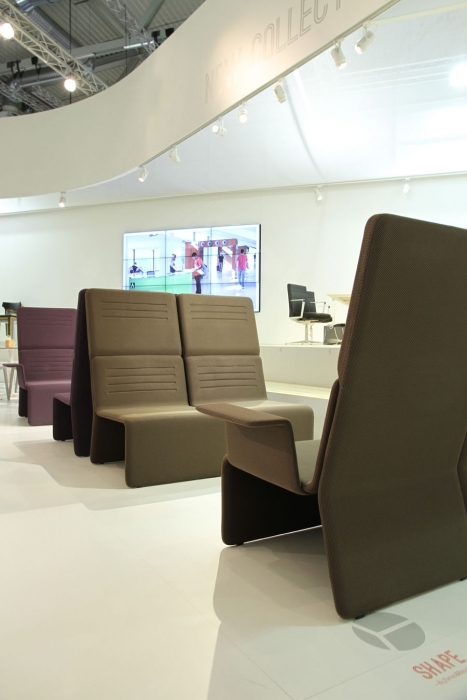 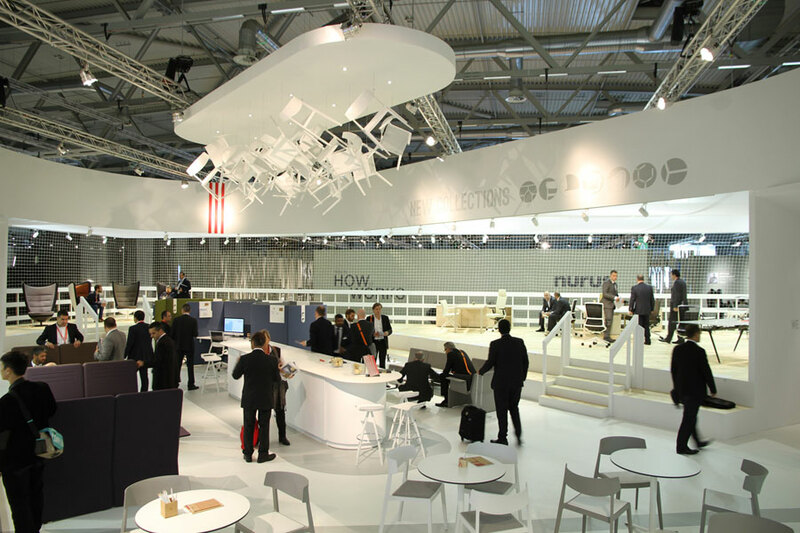 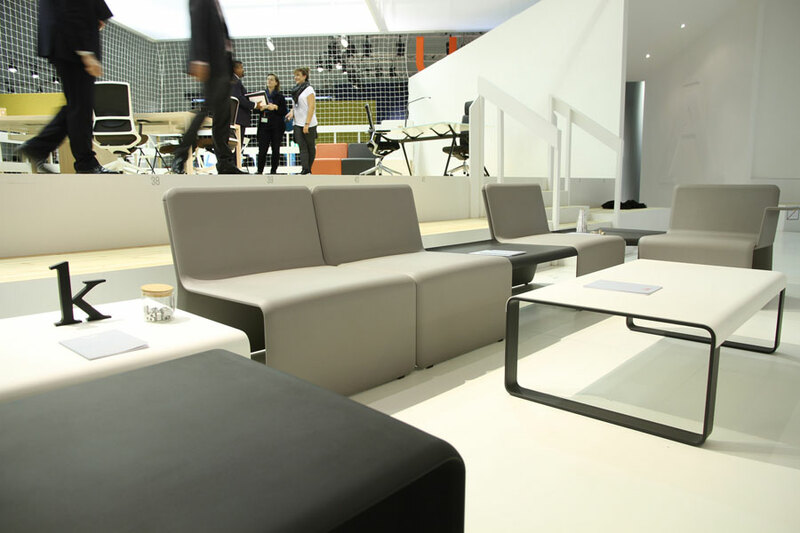 Orgatec celebrated its 13th edition and Actiu has been present over the last three decades of these. 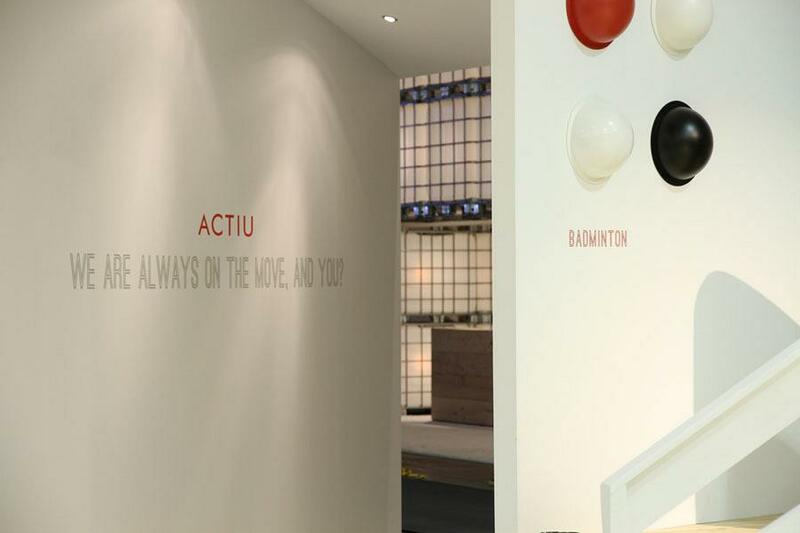 One improvement is the original campaign which links the values of the company with sport: movement, effort, passion and perseverance. Each of the seven collections has been presented associated to a sport. Actiu's stand was located in a prime position. In one of the most visited halls and where you can find the benchmark International leading companies. 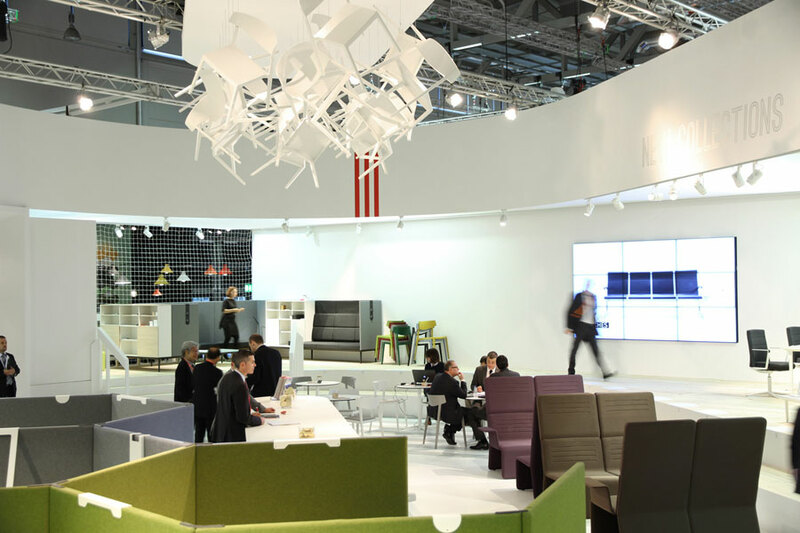 With the design and interior design by the studio of Pepe Cosín and a total surface area of more than 430 m2, the stand represents a stadium, in which could be found a perimeter area of seats for informal work and collaboration. 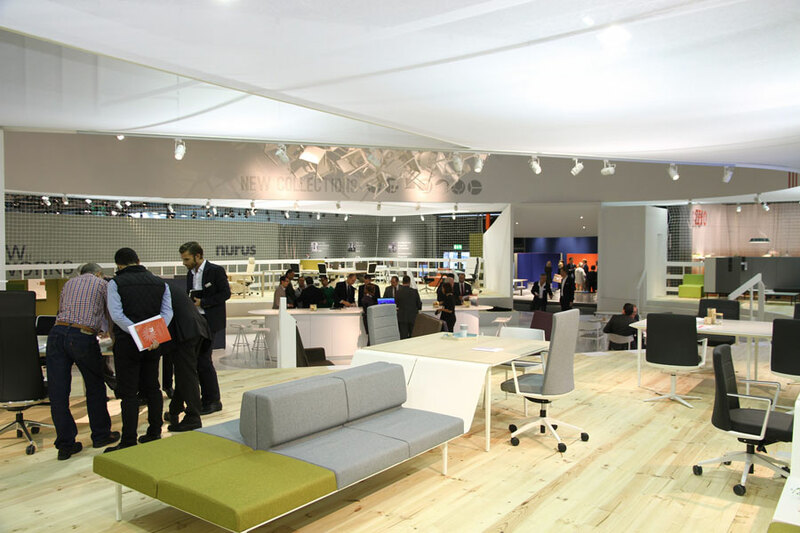 An open space but connected and versatile where exhibition and customer service areas are fused to create active and changing areas. 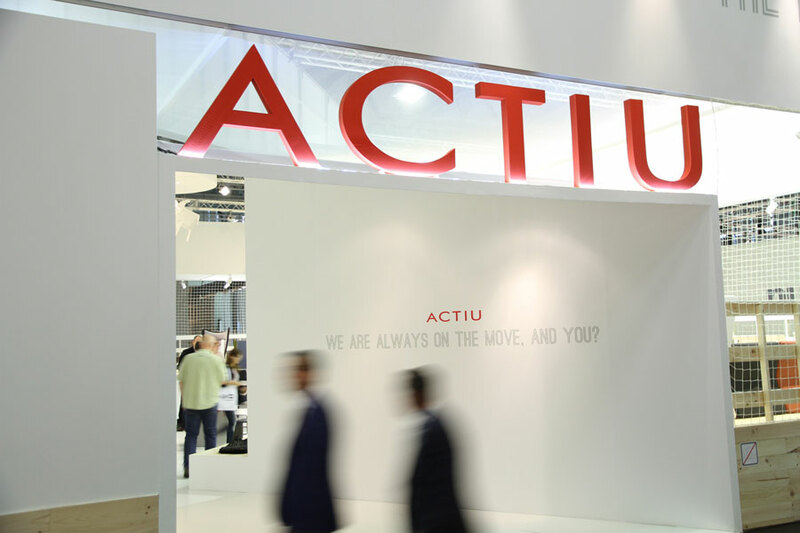 Actiu’s entrance into the contract sector with a highly studied product and an elevated design and quality was one of the main attractions that the visitors found at the stand and said so. 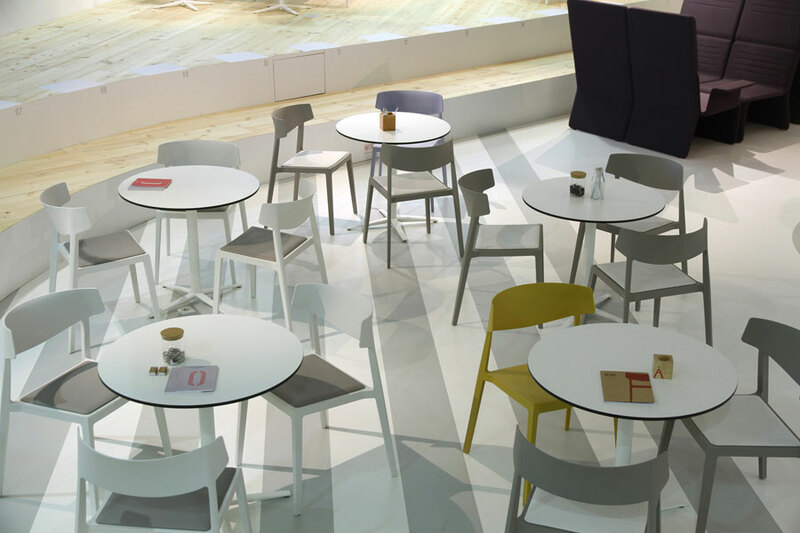 Shey, designed by Ramos & Bassols studio, was the star of soft seating, for its versatility that it offers in its compositions, along with Wing, from the same studio, the collective chair which has incorporated the latest technology advances to make it highly functional. 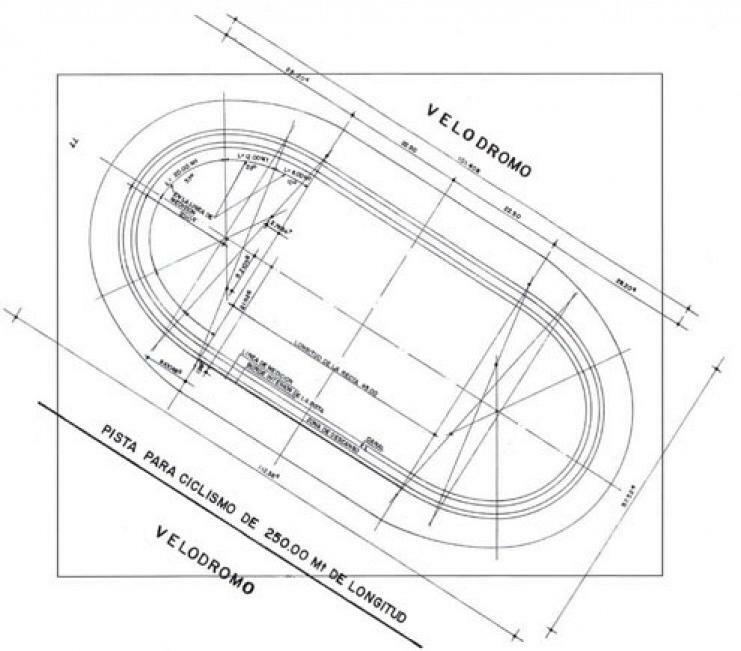 And if Shey and Wing were the stars for their practical and versatile characters, Longo and Badminton were the most requested for their design characteristics. 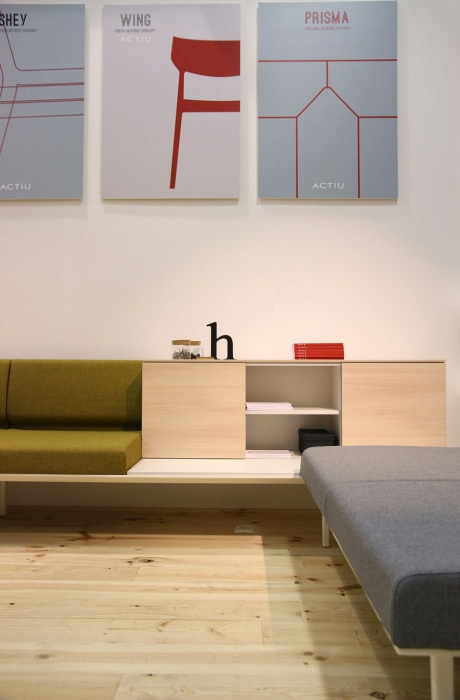 Longo, also created by Ramos & Bassols, is a modular system of sofas, desks, archive and panels to enable infinite combinations thanks to its modular composition to which, furthermore, you can add a host of accessories to create a desired environment. 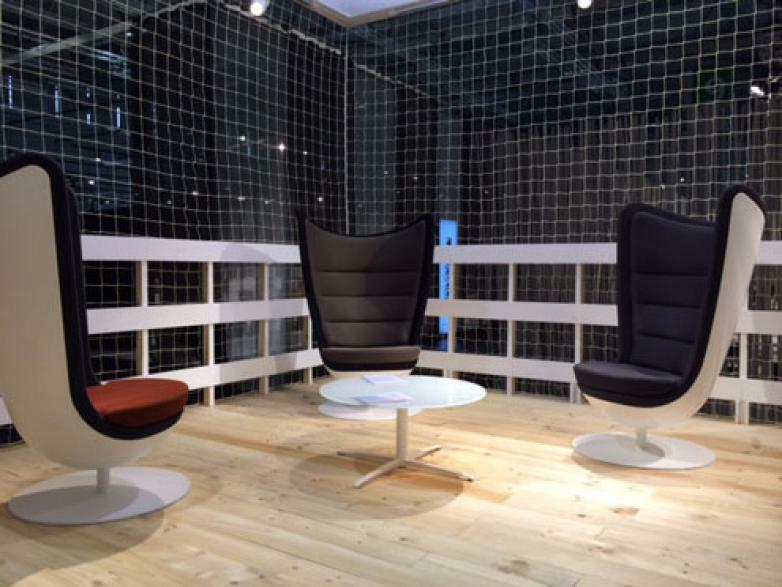 Badminton is a key and reference piece for any space in which you require sophistication and elegance, designed by Item Designworks. 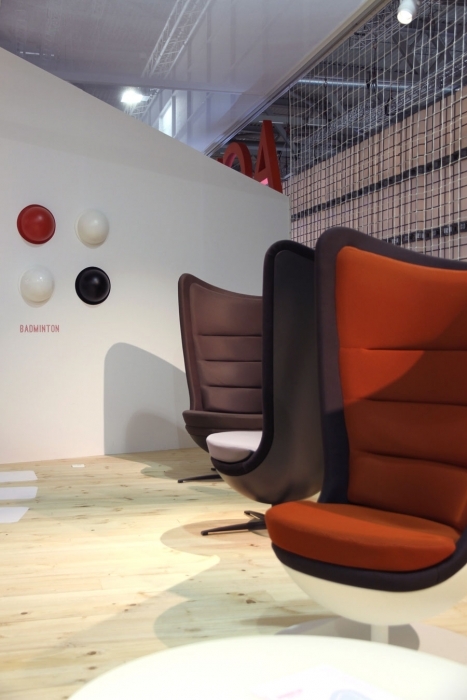 A revolving armchair created under a innovative and different conception. 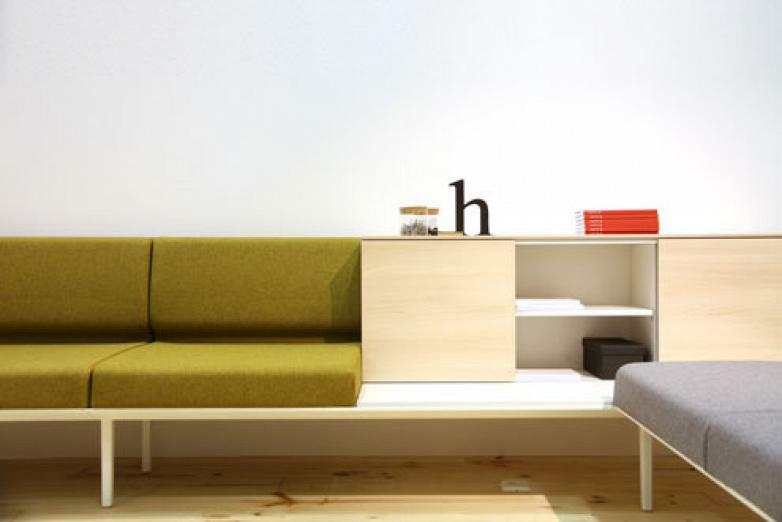 Another which stood out for its modular character and its versatility in the creation of different spaces in the office, is Link, designed by Item Designworks. 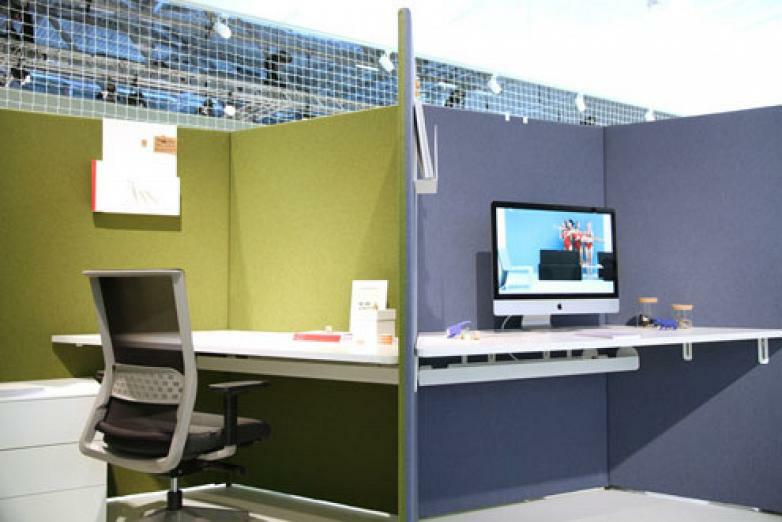 It is a system of modular sound absorbing panels and configuration of spaces of varying heights allowing endless design possibilities and quick changes. Prisma, the desk designed by Sylvain Carlet & Isern Serra, surprised those who got to know about its interior. 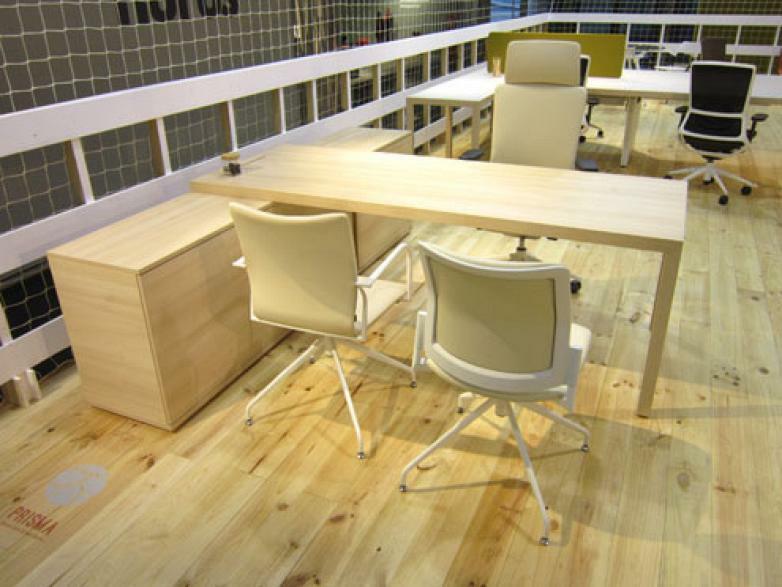 A desk resulting from the combination of three materials (steel, melamine and abs), with a leg junction and such a clean surface that it results in a compact product, without any connection slots or joints. 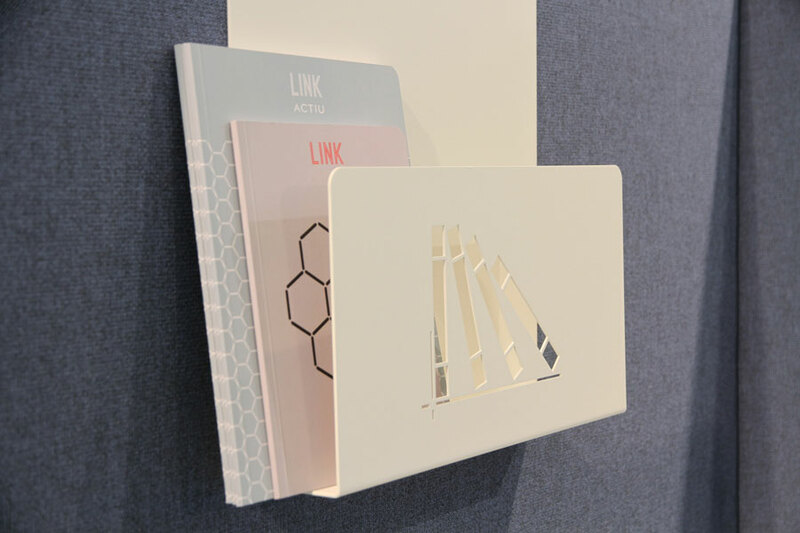 Cron, by Alegre Industrial Studio, is an ideal accessory for any managerial position. 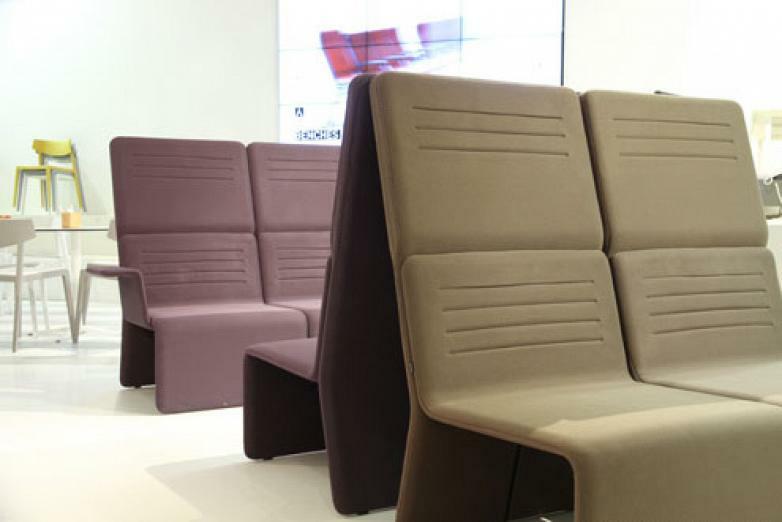 A managerial chair which combines elegance and lightness and a new upholstery carried out with the most advanced heat-fusion processes. 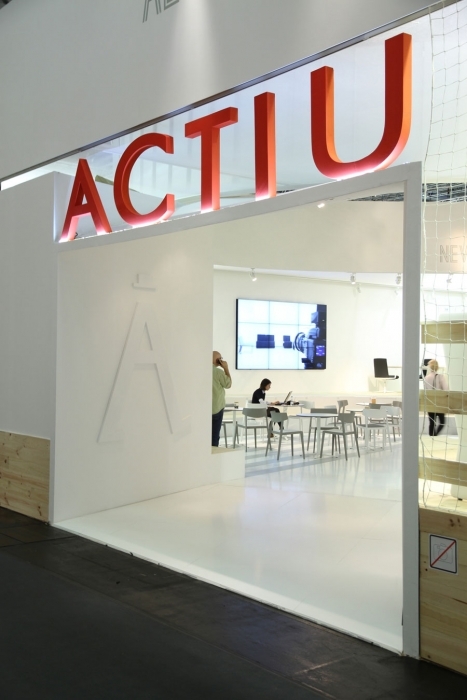 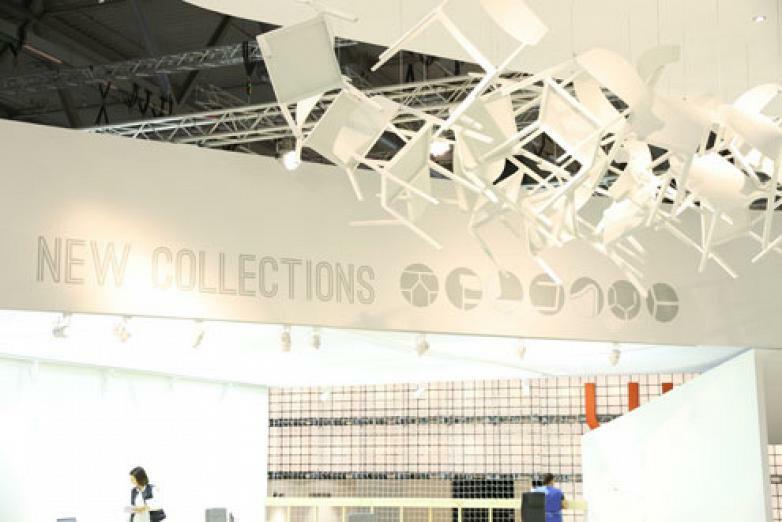 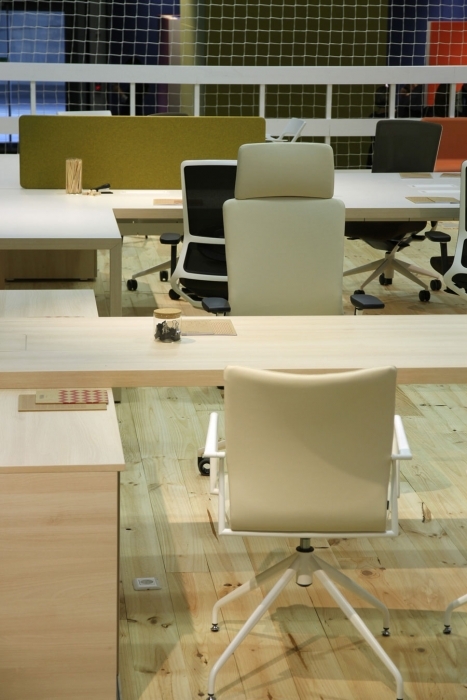 Actiu ended Orgatec 2014 satisfactorily after knowing that the company had grown and had made a progressive upwards trend which has led it be at the same level as the industry leaders, both in trends and quality products. 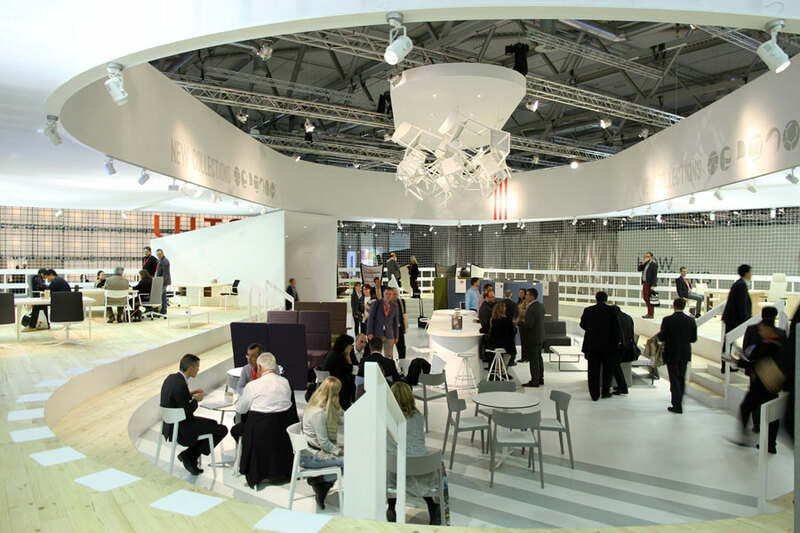 The team moved to Orgatec returned motivated and excited by the positive reception of the exhibited work and wanting the rest of the world to know about the latest developments. 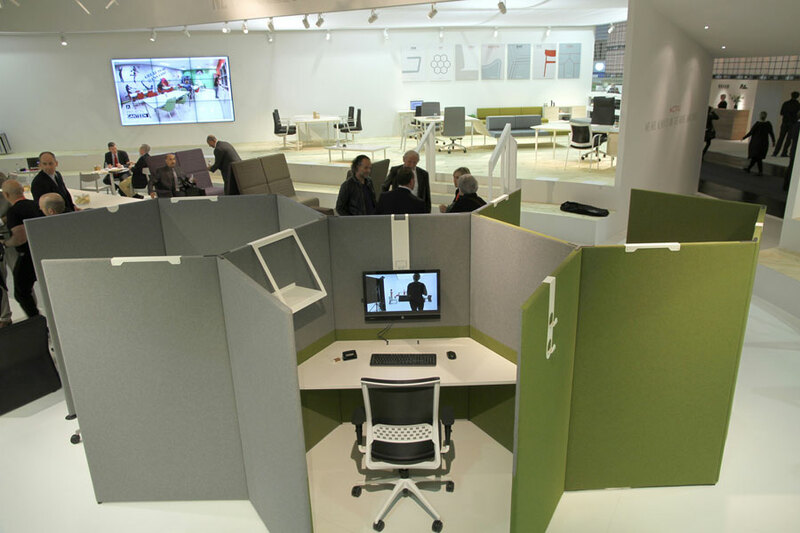 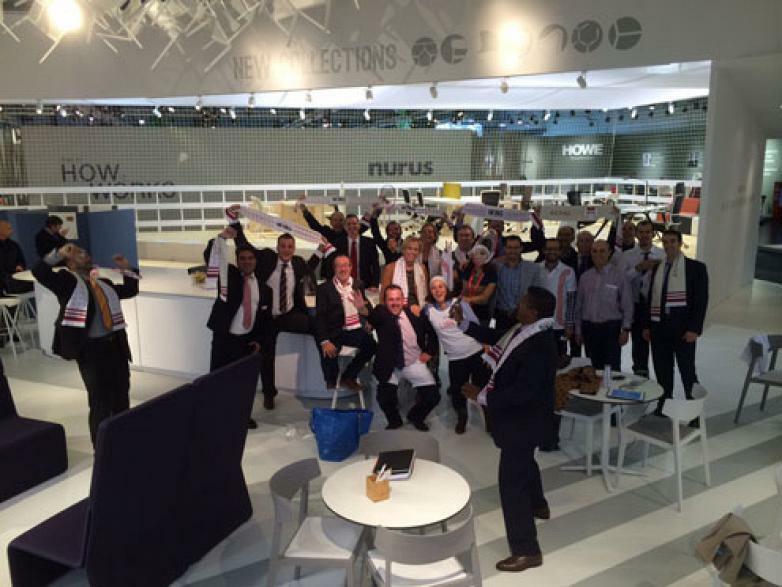 The good atmosphere amongst those from Actiu working at Orgatec was reflected in the funny pictures of the team with the material used in the campaign. 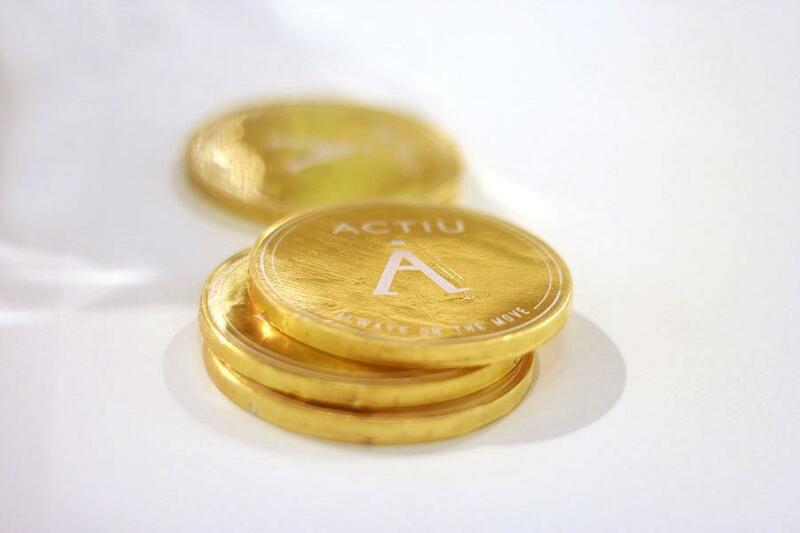 Now you know Actiu. 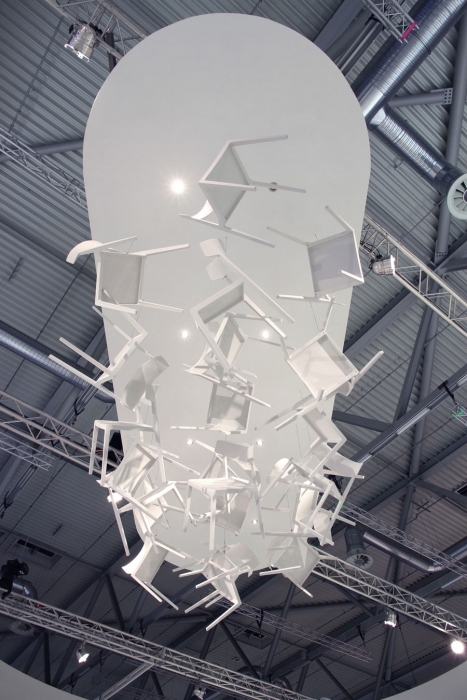 Have you seen how movement forms part of its essence? 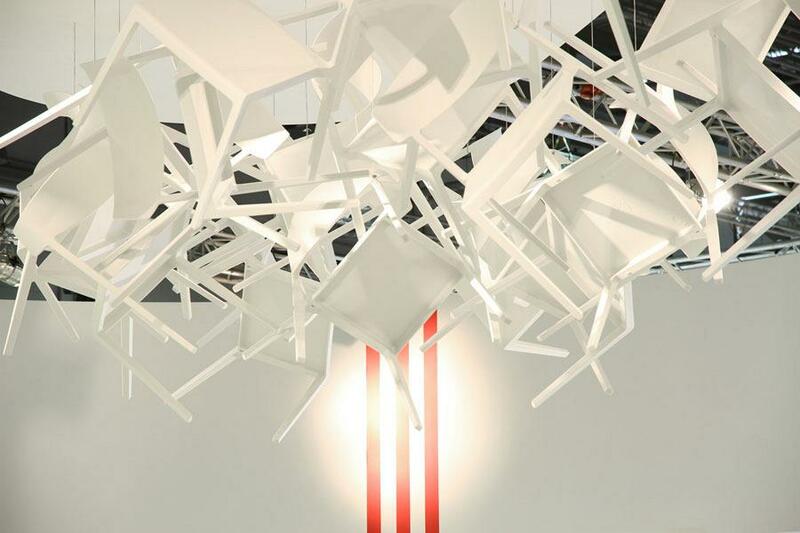 But this is just the beginning of the change. 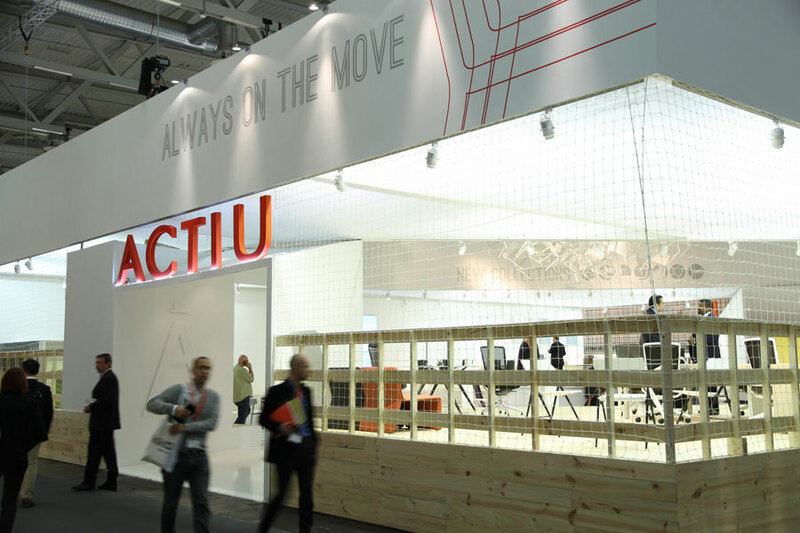 Everything is possible at Actiu, you just have to use your imagination.